South Africans are a nation that love sports of all shapes and sizes. From the avid soccer fans blowing vuvuzelas at the local field, to the die-hard rugby fans who pile into stadiums to witness the clash of their heroes, there is no doubt that South Africans love real cash for supporting their favourite team almost as much as they love watching them play. With such a diverse rainbow nation of sports lovers, the list of South African sports betting sites is growing by the day with fans eager to win real South African Rands. For the top rated South African sports betting experience be sure to check out Betway Sports this April. With the rise of mobile technology, online sports betting in South Africa has seen a huge surge in popularity with sports fans across the nation looking to support their favourite national and international teams across a huge selection of sports. One of the main advantages for South Africans who choose to use place their real cash bets at an online sports betting site is the convenience of being able to place bets for fixtures being held anywhere in the country and, indeed, the world. Bringing the magic of sports to every household with access to an internet connection means more and more people in South Africa&apos;s online betting scene can feel the thrill of winning right alongside the beloved sports stars they are placing wagers on. Rugby - featuring some of the most enthusiastic fans of any sport, rugby at both the school and professional level is extremely popular with South Africans and the Rugby World Cup and the local Currie Cup bringing in massive numbers of bettors annually. Soccer - the “beautiful game” is played on sports fields from the most affluent areas all the way into the streets of South African townships and is one of the world&apos;s most popular sports. In South Africa, soccer is more than a sport, it is a national pastime with fans following both the local and international scenes with equal fervor. Cricket - While not the most popular, cricket still brings in a huge number of bets annually with frequent international and local competitions keeping bookies busy all year round. South African sports betting enthusiasts are truly spoilt with choice when looking how best to place their next bet, with the number of mobile and online gambling sites increasing annually. These sites can be accessed from the comfort of your own home, an internet cafe or even through the mobile device in your hand - it really couldn&apos;t be easier. With only a compatible device and an internet connection, South African sports betting fans can stake real money on a number of their favourite sports such as: soccer, rugby, golf, cricket and more. Signing up at one of our recommended sports betting online sites, carefully vetted for our South African audience, means that fans can place multiple bets on multiple fixtures and all at the touch of a button. Internet-based betting may be convenient but with the rising popularity of cell phone and tablet applications, your Blackberry, Apple (iOS) device, or Android phone and tablet could be the key to your next big win. 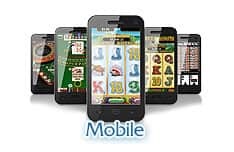 For South African audiences, the list of available mobile applications for sports gambling online is increasing every day but it is not only the Google PlayStore and Apple&apos;s iTunes store that you can find your next favourite gambling site. With only the browser already installed on your device, you can access any html5-based online gambling page which means that, with only your phone or tablet and an internet connection, you can place bets on the fly from wherever you are. With applications and sites catering for all makes and models of phones and tablets imaginable, from the latest iPhone to your Android device from Sony, Samsung&apos;s Galaxy range, HTC or Nokia; to your ever faithful Surface Pro, Amazon&apos;s own Fire, or even your trusty Blackberry, your next bet need not take too much time out off your busy day. Go mobile today. Whether you are completely green or a seasoned veteran, there are a few important things to keep in mind when placing bets in order to get the best possible sports betting odds. With so many online and mobile sports betting sites cropping up annually, choosing a reputable real cash online gambling site can be tough. There are an ever increasing number of sites looking to capitalize on players looking for the best deal and not all of these sites are known for good business practices. 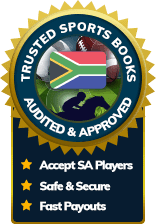 That is why you can trust our expert panel of wagering experts to choose only the best online and mobile sports wagering sites for our South African audience. Is sports betting popular in SA? Mobile and online sports wagering is not only gaining popularity in South Africa but the world over. 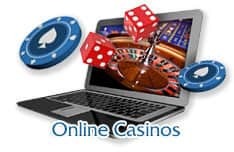 Being able to place bets on local and international fixtures means that people around the world can get involved with online gambling and you can bet there is a lot of money to be made in it. Once you have chosen your preferred mobile or online sports betting site the process of placing your first bet is easy. Create a new profile, login, deposit the funds to place your bet, find the fixture you want to bet on and you&apos;re ready to place your first bet. Now all you need to do is wait on the results. While there are no set-in-stone rules for internet-based betting, sites and applications do have their own unique set of terms and conditions that you should always read before signing up and depositing with them. What bonuses and promotions can I get? From welcome bonuses just for signing up, to free credits when depositing to better payoffs when betting on certain fixtures, bonuses and promotions come in a range of shapes and sizes so be sure to shop around when looking to place your next bet. Not at all. There are a number of sites that offer beginners (and players who are just in it for the thrill of winning with no risks involved) a chance to use ‘site credits&apos; rather than making you deposit your hard earned Rands. 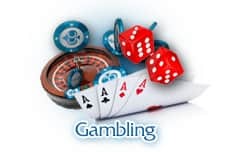 Use these credits to learn the ropes or use these sites just for a simple gaming experience without any of the associated risks that come with gambling with real money. 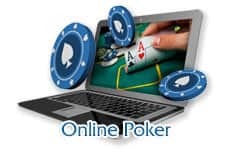 Reputable online sports betting sites take great care in making sure that their clients are well looked after with security and encryption of personal information a key priority. You can rest assured that, when choosing from our list of recommended sites, your personal information is secure.